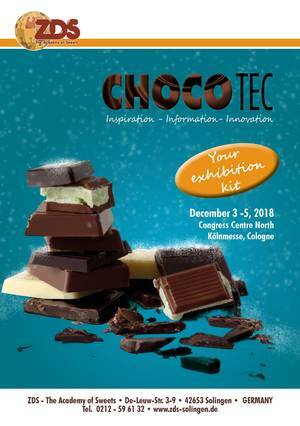 Dear chocolate lovers, we would like to invite you to join us again when the international chocolate industry meets for the CHOCO TEC 2018 at the Congress Centre North of the KölnMesse. Every two years, the most successful and established ZDS congress attracts more than 300 participants from 19 countries from all sectors of the chocolate industry. 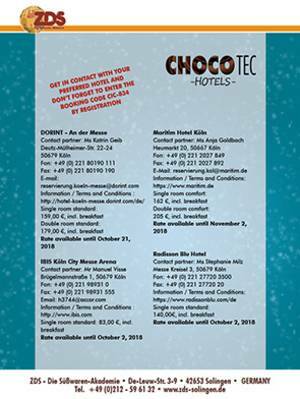 Every year there are numerous new developments in the chocolate industry: on the first day, you will get an overview of the latest product trends in the chocolate market. With the introduction of new technologies and latest findings for chocolate production, the days ahead are full of new ideas: For example, learn about the latest technologies for microchocolate production or 3D-printing of tempered chocolate. In addition to the professional lectures, the poster exhibition in the foyer plays a central role. The conference participants visit the posters during the breaks as well as during the „poster session“. 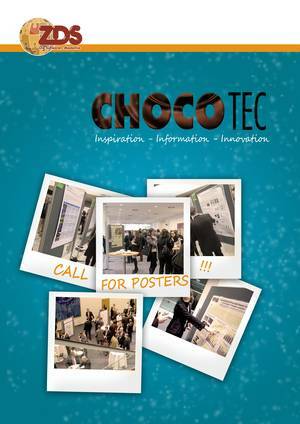 Following the great success at the CHOCO TEC 2016, there will be a „poster slam“ again this year, where poster exhibitors will be given the opportunity to present the most important content of their research within a minute. Let yourself be inspired at CHOCO TEC! 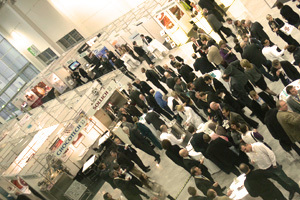 The foyer and product sample exhibition invites you to get to know new products and processes. Exchange opinions with other participants and high-ranking speakers from industry and research during the generous breaks. The festive dinner at the world-famous chocolate museum on the first evening of the event can certainly be called inspiring. 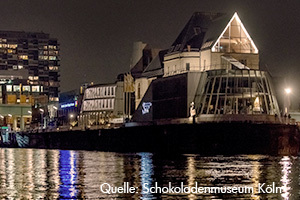 In the heart of Cologne, overlooking the Rhine riverbank, we end the first day with a tasty meal and an artistic chocolate buffet. The evening is an excellent opportunity to process the newly gained impressions and establish contact with the leaders of the chocolate industry in a relaxed atmosphere.